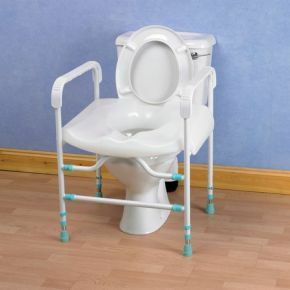 Prima Toilet Surround With Seat Height Adjustable. 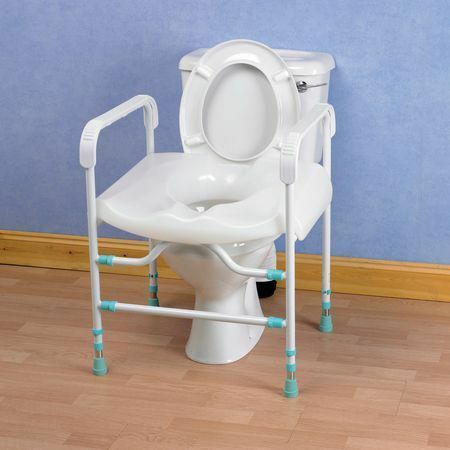 This height adjustable toilet surround fits any standard toilet and comes complete with seat. Can be assembled and disassembled without the need for tools for transport /storage.